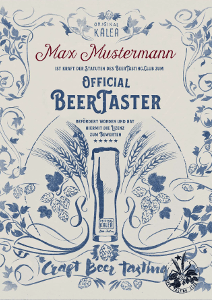 You love beer and like to try out new things? Comfortable = Delivery to your door. No heavy lifting anymore. High-quality = Just try it yourself or gift it to somebody! 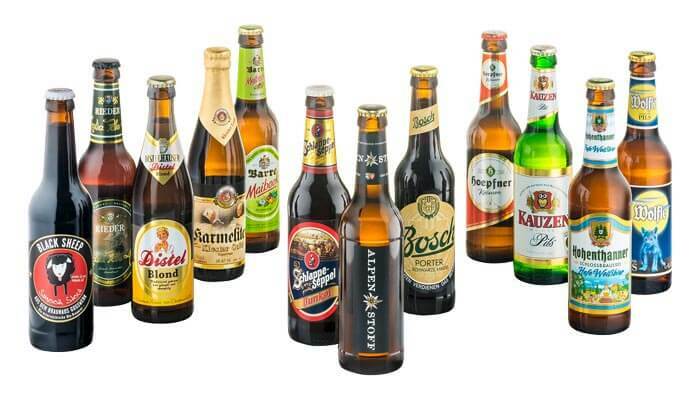 Every single Bierabo package includes our legendary tasting folder. Following the instructions displayed in the folder, even unseasoned beer tasters are able to analyze and rate their beers in a professional manner. In addition to that, the BeerTasting-App allows you to keep track of preceding Bierabo editions, to rate the included beers (and even order them directly, if you wish to do so) and to inform yourself about the latest news in the craft beer sector via the daily-updated news section. Every first Bierabo package includes a beer taster certificate. If the Bierabo is not meant for you but as a gift for somebody else, you are welcome to let us know his/her name in the comment section of your order. We then print the name directly on the certificate for you.